LOS ANGELES (November 1, 2017) — The Association of Sites Advocating Child Protection (ASACP) is pleased to announce its Featured Sponsors for the month of November 2017. 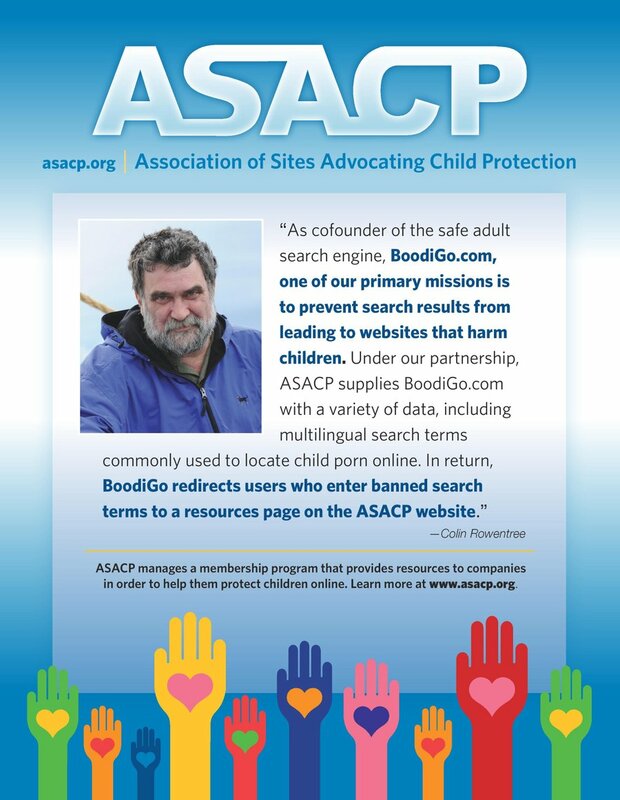 ASACP’s Executive Director Tim Henning says that each month, the association recognizes a select group of Featured Sponsors that demonstrate how professional adult entertainment companies and support services bolster the cause of child protection. The non-profit association’s 21-year-long record of success is highlighted by its globally recognized Child Exploitation Tipline processing more than one million CP reports to-date and illustrating the value of the association and the effective use it makes of the support it receives. ASACP also provides website operators with the award-winning Restricted To Adults (RTA) meta label that helps filter age-restricted materials, along with market-specific Best Practices, a Code of Ethics that guides companies towards child-safe operation, and more. ASACP is pleased to honor Epoch, CAM4, and Gamma Entertainment, as its Featured Sponsors for November, recognizing the continued support these companies show to the association and noting the efforts of these industry leaders to make the internet safer for children. A founding Platinum Sponsor that has supported ASACP for more than 15 years, Epoch is an Internet Payment Services Provider enabling merchants to process transactions online and through mobile devices, accepting global payments for digital products and services, while earning a reputation for legitimacy and oversight of client web properties in the process. An ASACP Title Sponsor whose support extends back to 2011, CAM4 is vigilant about online child protection, due to its operation of live webcam/video chat sites, where minors not only attempt to access these sites but by misrepresenting their age, attempt to become paid performers. The global nature of this business (with varying documentation in different jurisdictions) and the physical separation between the company and its contractors, make it a daunting proposition to ensure that performers, let alone viewers are of a legal age. Because of these challenges, ASACP offers a stringent set of Best Practices tailored to the specific needs of live cam site operators, which CAM4 benefits from. CAM4 takes additional measures such as the use of the RTA label to block children from its site; illustrating a caring, proactive approach to keeping children safe. These steps also include a warning page overlay that notifies viewers that no CP is present on the site and that anyone posting or seeking underage material would be reported to authorities, with the company aiding in the prosecution of these users — sending a clear message that it will not tolerate children accessing or being displayed on the CAM4 site. An ASACP Corporate Sponsor that has supported the association since 2006, Montreal-based Gamma Entertainment illustrates the commitment that the adult entertainment industry’s most prominent players make towards keeping children out of and away from adult entertainment. According to the company, Gamma has grown from a home-based business with a single website to become a major force in the adult industry, boasting nearly 60 full-time employees. Gamma attributes its growth to the use of cutting-edge technology and adherence to four basic principles: honesty, respect, reliability, and an up-front way of doing business, as the bedrock of its success.